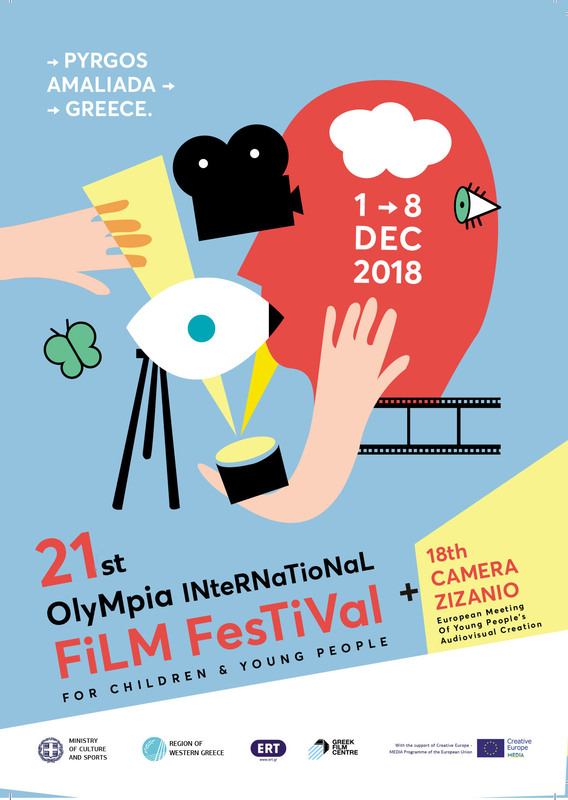 This year’s film workshops, one of the Camera Zizanio and Olympia Film Festival’s most dynamic events, with the participation of artists/educators from Greece and abroad (Sweden, Serbia, Netherlands), will offer unique moments of creation to children and adolescents, and are expected to produce a great number of films. Participants are introduced to the secrets of cinema and its many genres (fiction, documentary, animation), and create short films under guidance. These workshops are designed to include dozens of students from every educational level from Pyrgos and the whole of Elia, but also young visitors from Greece and abroad. For one week, the city of Pyrgos is transformed into a big film studio, that has no equal anywhere in Greece. Film direction and editing. Three (3) workshops for secondary school students. Each workshop produces one to two short films. Lead by directors/editors Giorgos Kourmouzas and Christos Santatsoglou (a), Damianos Voganatsis and Giorgos Didimiotis (b), and Nikos Kavoukidis (c). Duration: 5 days, 3 hours per day. Animation. Two (2) workshops for secondary school students. Each workshop produces one or two short animation films. Lead by professional animators Kostas Katrakis and Tasos Zervas. Duration: 5 days, 3 hours per day. Animation. One (1) open workshop. Small group of children (up to 15) from local schools can participate. An introduction to animation technique (stop motion) using the famous animation boxes of Erling Eriksson. Organised by the Media Education Centre of Belgrade. Animation. Two (2) 3-hour experiential workshops, one for kindergarten teachers and one for primary and secondary education teachers, focusing on introducing animation in the classroom. Participants will receive work sheets. Teacher: Spiros Siakas. Music-video workshop. One (1) workshop for primary and secondary school students from Greece and abroad. During the workshop, the children are asked to express themselves by producing a video showing the preparation and the beginning of a revolution. Duration: 2 days. Teacher: Martin Högdahl (Director of the feature film Ice Dragon that participates in the competitive section). Documentary. One (1) workshop for secondary school students. It produces the legendary Daily News, a four-minute film that takes a different look at the Festival, the town and the people. These films are screened every night at 20:30 at Apollon theatre, and are uploaded at the Internet. The Zizanio DailyNews team consists of old «Zizania» and children that participated in the workshops the previous years. Lead by the director Nikos Theodosiou. Duration: 8 days, many hours each day. Reportage and Editorial Team of Zizanio News: One (1) workshop for secondary school and university students, who follow all the events of the 15th Film Festival and the 12th Camera Zizanio and update the blog zizanionews.wordpress.com with news reports, reviews, comments etc. Lead by: Sofia Giamoglidou and Peli Bevouda. Film Analysis. Five (5) workshops for the Children’s Juries of the 15th Film Festival and the 12th Camera Zizanio. Lead by the teachers Froso Sarli, Sofia Giamoglidou and Angeliki Darlasi. Master class. Two (2) master classes by the filmmaker Robert Manthoulis and cinematographer Nikos Kavoukidis, for the students of the TEI of Pyrgos and Greek and foreign guests of the Festival. The light of cameraman’s art. A master class about the lighting techniques of cinema by cinematographer and director Nikos Kavoukidis.